Let me introduce myself, I'm Arabic occultist and magic teacher. I devoted many years studying the secrets of ancient magic especially Arabic magic. I have been teaching magic and translated many old manuscripts from different parts of the world and I was helped by many friends of the path including non Arabic speakers. 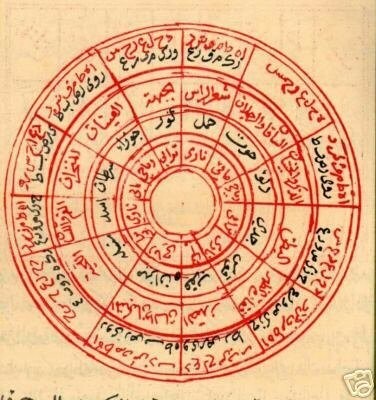 The unique website devoted to real and pure Arabic magic and astrology. It aims to assisting wisdom seekers acquire this secret knowledge. A collection of rare and authentic Arabic magic manuscripts that are not available to public. Thanks for introducing yourself to us, Haruth. You are welcome here! Hello, haruth, welcome to TMF. Glad to have you here. Welcome to the forums. I've never personally heard about Arabic magic so I look forward to seeing what you have to share with us all. Welcome, but like a poster once before I think you've mistakenly come to the wrong forum, this is more about magic as an entertainment form via sleight of hand etc. than occult arts. Did look at your page though, interesting comments about jinn and magic squares. Very cool website and interesting topics but I agree with Paul. This website is more about sleights than real magic and spells.